When it comes to dental stains and tooth discoloration, the team at Signature Smiles offers some state-of-the-art solutions here in Woodinville. Some of the more advanced cosmetic dentistry services and treatments we offer are designed to help brighten and whiten smiles. Teeth whitening in particular is quite helpful for many patients, though it's not without its very minor side effects. One of these side effects is tooth sensitivity, which we want to go over briefly right now. Before getting into tooth sensitivity, it might be helpful to go over the basics of teeth whitening treatment and how they tend to work. During teeth whitening, the teeth are exposed to a bleaching agent, which seeps into the tooth structure to whiten the stained portion of the enamel itself. In the process, your smile looks brighter and whiter. Why Does Tooth Sensitivity Occur? Tooth sensitivity is most common with hydrogen peroxide-based teeth whitening products. When the hydrogen peroxide makes contact with the teeth for a prolonged period of time, it can cause the small channels in the underlying dentin layer of the tooth to become exposed, making the teeth more sensitive to hot and cold temperatures. In addition, it's possible for some sensitivity to occur due to the bleaching agent getting on the gums. This is more a case of irritation than tooth sensitivity per se, but it's worth noting as it can contribute to post-treatment discomfort. Both of these can be quite uncomfortable, though thankfully the tooth sensitivity only lasts for a few days, and gum irritation only lasts a day or so. That said, there are a few things that can be done to help minimize and mitigate the discomfort. Dentists are very careful when they perform teeth whitening treatments, ensuring proper timing and exposure of the bleaching agent when applied to the teeth, and making sure that this bleaching agent remains on the teeth rather than the gums. Dentists and hygienists will also work conservatively to minimize discomfort, scheduling multiple sessions for serious stains and discoloration rather than trying to get all of the whitening done in just one session. Some dentists may also use a desensitizing gel on the teeth once the bleaching treatment has been performed. This offers temporary relief when the tooth sensitivity would be most pronounced. After undergoing teeth whitening treatment, patients should consider eating and drinking beverages that are room temperature rather than hot or cold, and should do this for the remainder of the day into the next if needed. When brushing and flossing, the use of lukewarm water to rinse is recommended as well. 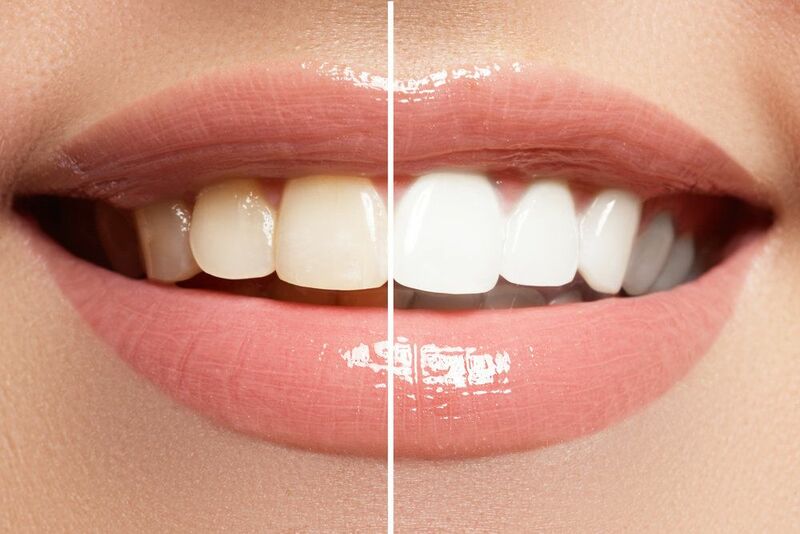 If you are using a professional-grade teeth whitening kit or even just an over-the-counter product for dental bleaching, it's best that you follow all instructions to the letter, which will help reduce the severity of the side effects you face. Most importantly, do not use too much whitening gel or leave your teeth exposed to the gel for too long. For more information about advanced cosmetic dentistry treatments and how we can help you look your absolute best, be sure to contact our family dental care center today. The entire team at Signature Smiles is committed to helping you smile with renewed confidence.